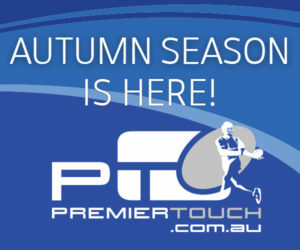 Please contact the office on 33676258 or office@premiertouch.com.au to register as referee. Get fit, have fun and earn money! Call the office today to reserve your place and start your career as a referee.